SO YOU WANT TO READ A STORY AND YOU WANT IT TO BE TRUE TOO! 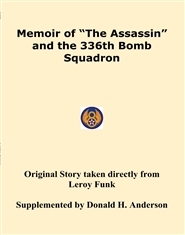 My note: LeRoy Funk (8/16/1915 - 10/23/1996) was my mother’s brother and he dictated this story to his wife Delores before he passed. He came from a small town in South Dakota and had 5 sisters and 2 brothers. I found the crew information from the 8th Air Force Historical Society webpage. (Aircraft Missing in action from August 8, 1943) He was a (TSgt) gunner on a B-17 and was shot down near Antwerp Belgium. He eventually made it back to England. This is his story as he told it.